You can travel by train all the way from Ipoh to Hat Yai but you need to change trains in Padang Besar Railway Station, which is at the top end of Malaysia’s West Coast train line near the border with Thailand. Padang Besar Railway Station is the interchange station between Malaysian and Thai Railway services. There are Malaysian and Thai Immigration counters located within the station where you need to get your travel document stamped to exit Malaysia and then stamped again to enter Thailand before you board the train to Hat Yai. Train 1: There are 5 trains a day from Ipoh to Padang Besar. 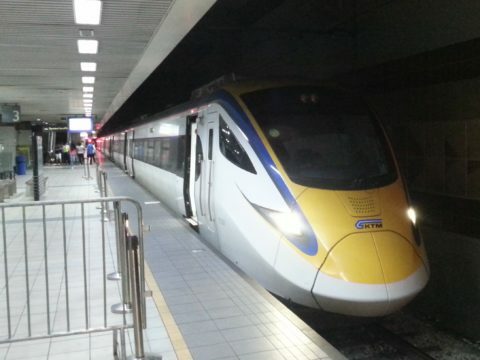 Train 2: There are three trains a day from Padang Besar to Hat Yai. NB: These train times are in Thailand time which 1 hour behind Malaysia time, so when its 10:00 in Malaysia its 09:00 in Thailand. Use the Search Box below to buy your train tickets for first part of the journey from Ipoh to Padang Besar. Tickets for the short train journey from Padang Besar to Hat Yai are available for purchase at Padang Besar Train Station. If the trains from Padang Besar to Hat Yai are sold out then you need to take a taxi or motorbike taxi to the road border with Thailand and then take a minivan from Padang Besar in Thailand to Hat Yai which costs only 50 THB per person and takes 50 minutes. Ipoh Railway Station is located 9.9 km from Amanjaya Bus Terminal. 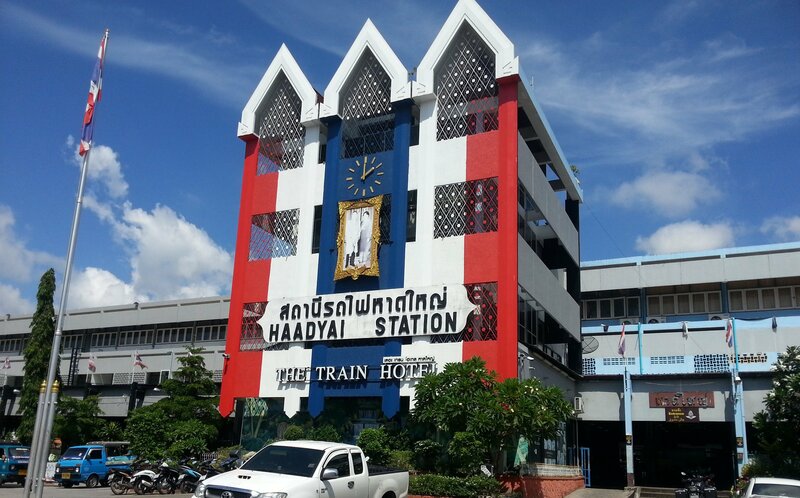 Hat Yai Railway Station is located in Hat Yai city centre. Hat Yai is a the major transport hub for Southern Thailand. 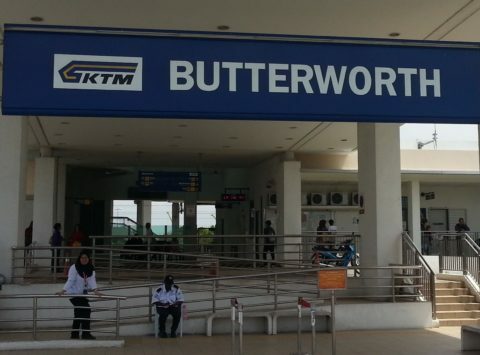 From Hat Yai you have the option of three forms of travel to onward destinations in Thailand: flight, train or bus. 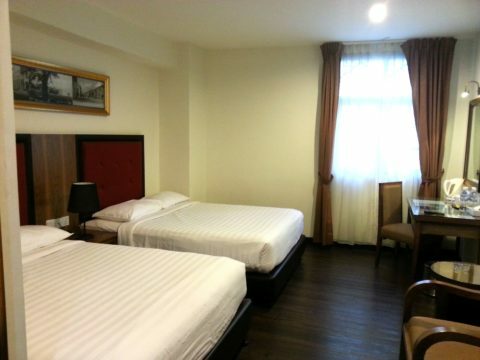 Hat Yai International Airport is located 13.5 km to the South East of Hat Yai Railway Station. There are three airlines operating regular flights from Hat Yai International Airport to Bangkok, although you still book well in advance as flying from Hat Yai to Bangkok is a popular option which costs only slightly more than second class berth on a train to Bangkok. Hat Yai Train Station is on Thailand’s Southern Railway Line which runs all the way from Hat Yai to Bangkok via popular destinations such as Surat Thani (for ferries to Koh Samui and Koh Phangan), Chumphon (for ferries to Koh Tao), and Hua Hin before finally terminating at Bangkok’s city centre railway station. There are 5 direct train services a day from Hat Yai to Bangkok. 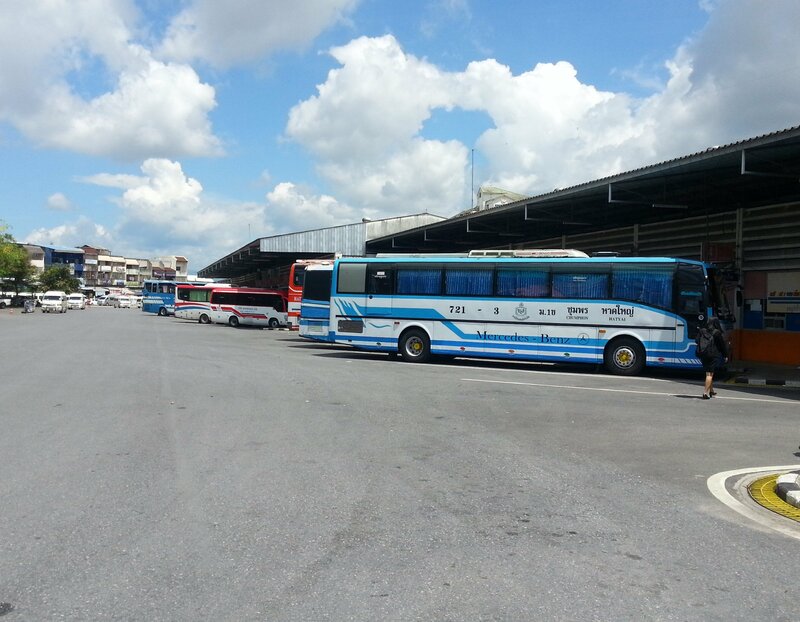 Hat Yai Bus Station is located 2.9 km away from Hat Yai Bus Station. Taking a bus or a minivan from Hat Yai Bus Station is good option for shorter journeys from Hat Yai, as well as journeys to destinations on the Andaman coast such as Phuket, Koh Lanta, Koh Phi Phi and Koh Lipe which are not connected to Thailand’s Railway Network. There are also direct bus services to Koh Phangan and Koh Samui from Hat Yai Bus Station.